Instructors may bring undergraduate and graduate classes to the Poetry Center for a self-guided visit or a field trip led by the Poetry Center's library staff. All class visits (including self-guided visits) are by reservation only. Field trips frequently incorporate a building tour and a writing activity; library staff work with instructors in advance to provide activities tailored to individual class needs. Our world-class collections have been used in the teaching of technical writing, visual arts, drama, ESL, and Spanish, along with composition, literature, and creative writing. See University/Adult Lesson Plans for examples of writing activities from previous classes. Due to high demand and limited library seating, we require 4 weeks' advance notice for all class visit requests; please give 24 hours' notice for cancellations. 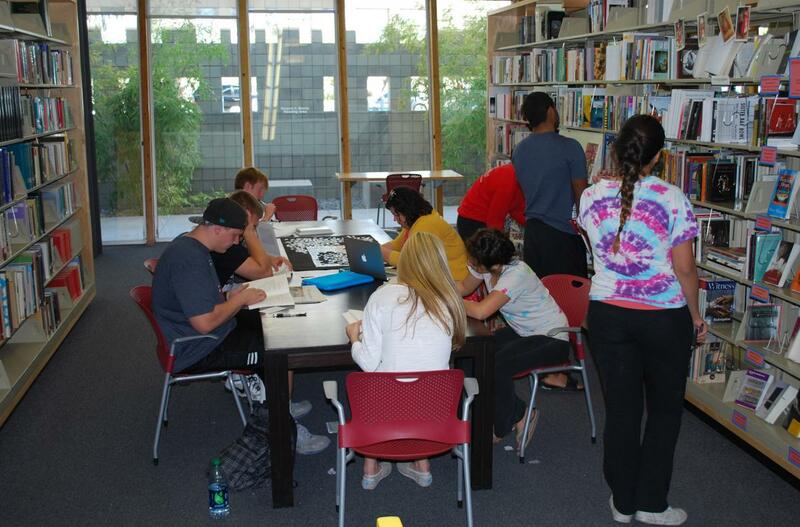 To request a class visit, contact Sarah Kortemeier, Library Director, at ssk@email.arizona.edu.